Has your credit score taken a hit? Have you been denied traditional financing? Or maybe you don’t have any credit history, good or bad? Don’t worry, you’re not alone! Getting financing can be difficult. Snap is here to help! Our online application is simple and quick to complete and you’ll know in seconds if you’re approved. It couldn’t be easier to get the things you need! 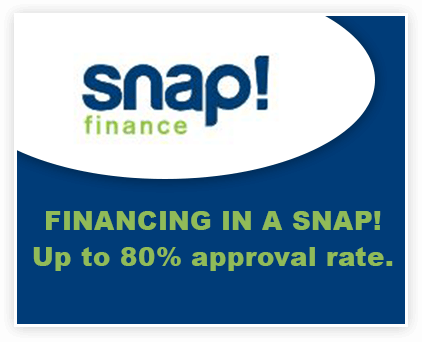 If you’re looking to finance wheels, tires, and more…use Snap! We’re the fast, flexible, and friendly choice.